We know that Ferrari is planning on quite a few new models in the near future, the first of which, was the F8 Tributo unveiled at Geneva. Now it seems that the next unveiling will take place very soon indeed. Next month in fact, with what is being dubbed as the “Big Brother”. Apparently, this new mid-engined supercar will be shown at a private event on the 25th of May this year. 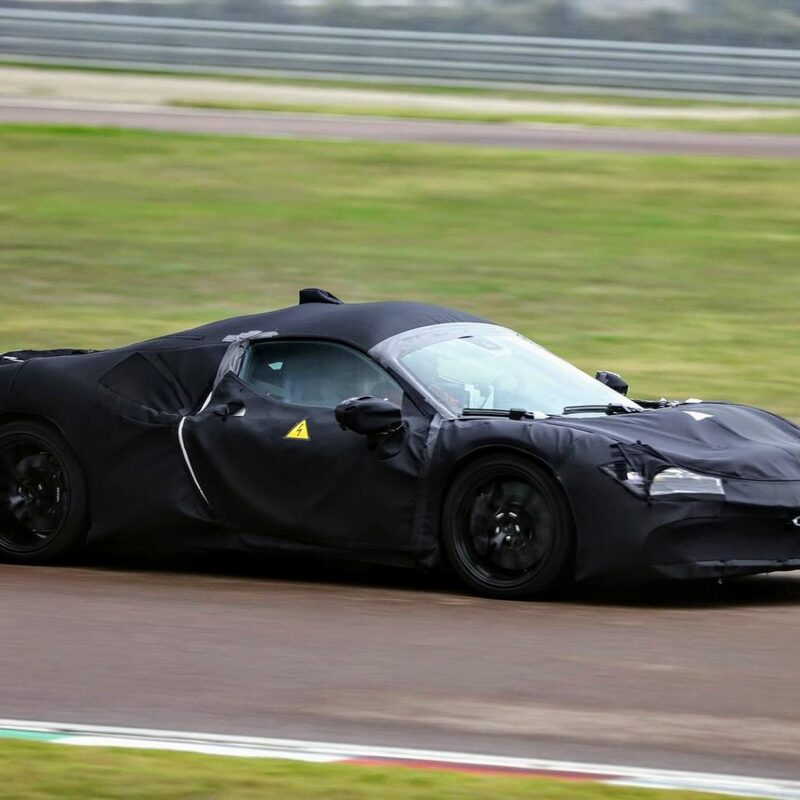 Obviously details about this car are pretty scarce, but it is assumed that the “Big Brother” will be above the F8 Tributo in the model line-up. From what we can see from the videos and images taken of a test mule, the car has quite a low front scuttle, and potentially have horizontal clusters for the headlamps. No details of what could power the car is available, but we can probably expect a hybrid V8 of some sort. Perhaps a variant of the 720 horsepower (537 kW), 3.9-litre V8 engine we see in the F8 Tributo could be in order. But, considering it will be coupled with some electric motors, we could even see power outputs of over 800 horspower (597 kW). Everything is purely speculation, though, so we will have to wait for just over one month to know exactly what Maranello is cooking up for us.